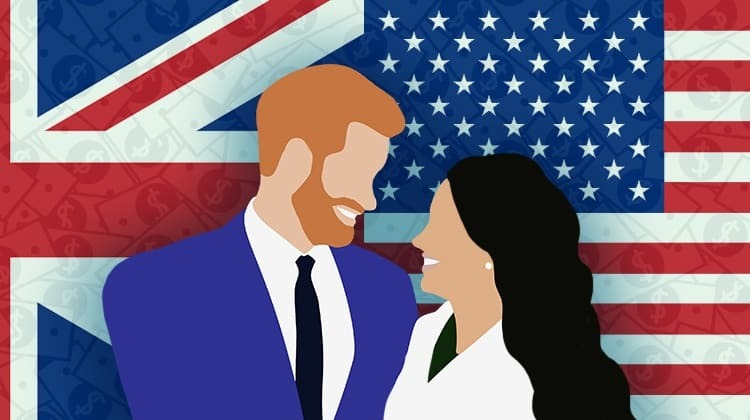 Harry and Meghan sitting in a tree…K-I-S-S-I-N-G…First comes love, then comes…a $45.8 million (£32 million) showstopper wedding viewed by millions of people tuning in from all over the world! Talk about some incredible ratings and a lot of obsessive tweets, blogs and wedding memorabilia! Now, you might be rolling your eyes right now but let’s get one thing straight, the Royal family knows how to advertise and sell a brand! I mean, this family has captured the hearts and minds of millions of royal watchers from Hollywood to Walter on Thames for years! Most people wouldn’t even wake up at 4:00 AM to watch their own wedding, so that tells you the power they have created about “selling” their family brand and how successful it has been for centuries! 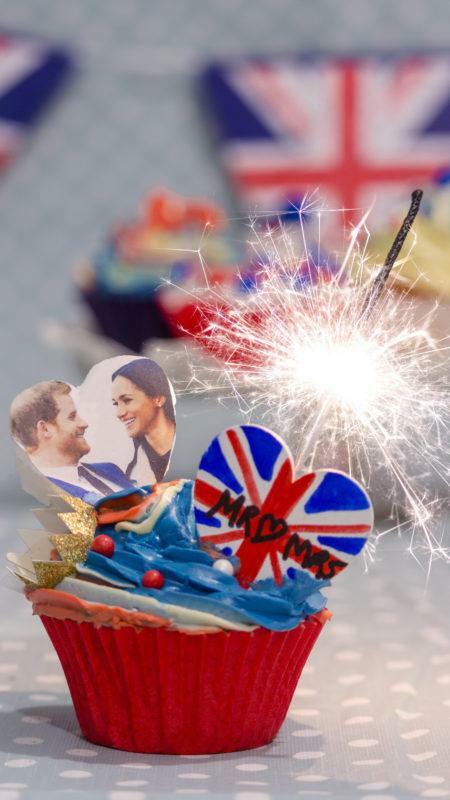 With an occasion as buzzy as Prince Harry and Meghan Markle’s big day, the internet just can’t help itself and it’s a great time to look at their buzz worthy marketing/advertising techniques! 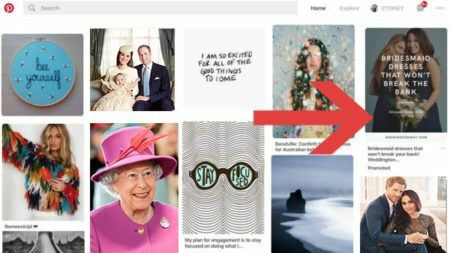 I am here to share some advertising tips the Queen would approve and how you can apply them to your ecommerce advertising strategies! With the average cart abandonment rate being 69.2% and many brands struggling to connect with shoppers, let’s learn how to make your ecommerce business a royal success! The English royals have built a strong global brand that we all can truly learn from. Between millions of people in 180 countries watching the royal wedding of Prince William and Kate Middleton or watching the Queen parachute into the Olympic stadium with secret spy James bond to the numerous tabloids and debacles of the Princess Diana and Camilla feud, the Royal family knows how to be relevant and engaging. With some of the below strategies, you too can learn how to make your ecommerce business a sensation with ecommerce advertising fit for a king! (no souvenir shortbread tins, mugs, or tea towels necessary). The way we shop has changed. Today’s shopping goes beyond brick and mortar locations and even online shopping as we now click through a business’s Instagram and easily purchase specific items through featured posts! Social media propels growth and it has drastically changed the way businesses reach potential customers. Social media undoubtedly has become an inseparable part of our daily lives, so combining social media and ecommerce just makes sense! So how can you make it work for your ecommerce business? They key is making sure you are consistent with your branding, business and voice across all of your platforms! You can see this successfully done with the Royal family as they are very “tight” with their messaging, image and content! The Queen truly cracks the whip! The Royal family has created a global brand, voice and “experience” that everyone can immediately recognize and respect. They also post regularly, making information readily available to followers. Isn’t that pleasant to experience rather than trying to figure out what you are looking at from platform to platform? They have voice, verified content, strategy and personable imagery that connects their followers with a recognized and consistent “brand” they love! They also make sure they share up to date information on social issues, family updates and press releases that keep interest and information flowing from the palace to the outside world! I mean, who did not crave the updates on the new royal babe? How darling! You can share meaningful content as well: promotions, behind the scenes, meeting employees/leadership, events, quotes and other visuals etc). Another way to expand your social media is through ecommerce social media advertising. Don’t spread your efforts thin by using all social media platforms. Instead, focus on the channels that your potential customers are actually using. You can track which platforms perform best with data-driven tools, like Google Analytics for your business. Pick your customers’ favorite social media platforms and make sure you are creating relevant, informative, engaging and creative advertisements. You should also be thoughtful so you do not overload customers with constant ads. Too much self-promotion makes your social media account unpleasant to potential customers so mix it up and make things informative, personal and engaging. A good ratio to keep in mind is the 80/20 rule: 80% topical industry news and 20% plugging your site and products. 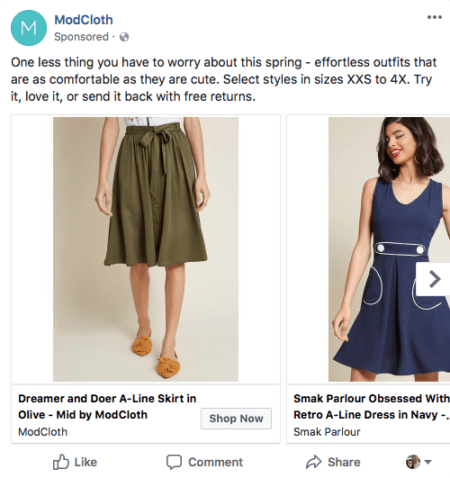 With an average monthly user-base of over 1.5 billion people, Facebook is an important part of your ecommerce advertising strategy. Facebook has the largest audience of any social media platform and offers a lot of value and potential reach. 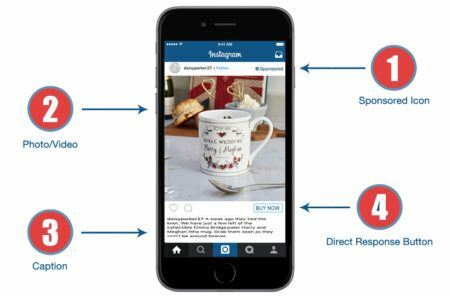 Advertising on Instagram is an easy, affordable way to get in front of a huge group of highly engaged users. Yes, Instagram is relatively new to the social media scene—at least compared with sites like Twitter, LinkedIn or Facebook—but with over 800 million active users, Instagram is one of the fastest-growing social media platforms around. To make things even better, Instagram is focused on visual content, giving advertisers a number of incredibly compelling ways to connect with their potential customers. If you’ve never run ads on Facebook before, check out this article to learn how to do that. Believe it or not, Pinterest is more than just a “girly” website that features mason jars, burlap, feel-good quotes, decadence and clothing inspiration. It is a sophisticated and visually stimulating opportunity for you to market directly to active consumers! While Pinterest isn’t quite as big as other social media platforms like Facebook or Twitter, it can be a special place to promote your products and services—especially when it comes to ecommerce. Using Promoted Pins, you can drive a ton of high-quality traffic to your site. Whether it’s buying an engagement ring, finding a sports therapy service, seeing a photography company or buying cute teacups, Pinterest drives traffic from engaged audiences. They’re also ready to act: 61% of Pinners have made a purchase after seeing business content on Pinterest. The most common type of PPC is paid search advertising, with Google AdWords being the most popular PPC software. Search advertising, also known as paid search and search engine marketing (SEM), are online ads that appear in search engine results on platforms like Google AdWords or Bing Ads. 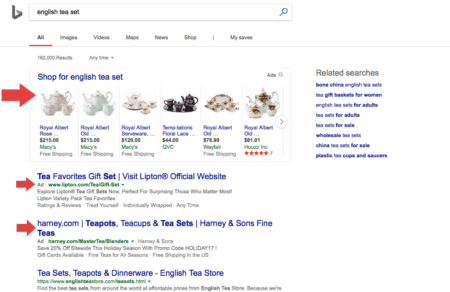 So, whenever a person uses a major search engine to look up a certain product, search advertisements are the ones that will appear in the top areas of your Google or Bing search. As you can see, paid search advertising is solely focused on intent-based results! You are marketing with the intent of people wanting to buy! 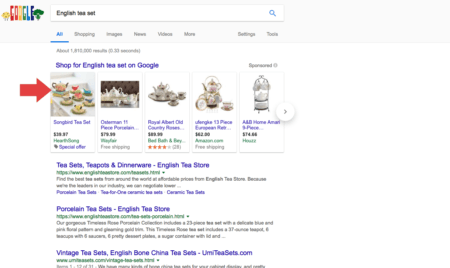 So in the example above, I would be able to find and buy a English tea set pretty quickly because I am seeing direct results I can purchase. What a lovely thing! This is probably what the Royal family does best: generating BUZZ! Everyone is looking at the outfits they are wearing, the actions they are taking and the things they are using. I mean, how many knock-off dresses of Kate Middleton are there? Influencer marketing is a powerful ecommerce advertising strategy because people care about social proof these days. When Kate wears a certain dress, it must be quality, right? Like them, however, you can create buzz around your ecommerce business by networking with social leaders in your industry. Contact bloggers to see if they’d be happy to review your products in a video or photo post. By having this type of exposure it can drive thousands of targeted visitors to your ecommerce site! To learn everything you need to know about Influencer marketing as well as essential ecommerce advertising strategies you can use for your business today, see my article here! 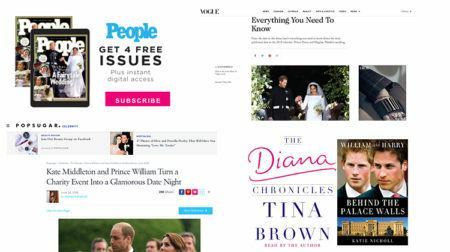 The Royal family is out and about—not just at events but in print and video content! They have great relationships with the Press to get headlines, editorials right smack in the best places. Exposure is everything! I was in England during the Royal wedding and it was everywhere you walked. On top of that it was all over my social media scrolling and all over the T.V ads I was watching…I mean they even now have a Prime movie about Harry and Meghan’s love story! Like the Royal family, you need to make sure your ecommerce business sticks and is apparent to your target audience. A successful SEO ecommerce strategy can definitely help you here! The disadvantage of selling from an individual online storefront is having less traffic than bigger marketplaces, like Amazon who does mass ecommerce sales. You have to optimize your online store to receive more visits by incorporating SEO keywords into your product listing titles and descriptions. You can drive more traffic and boost sales to your online store by including frequently-searched terms on your site. Track your ecommerce SEO strategy with Google Analytics as well! Another way to get your business out there is to just expand your reach and sell on multiple channels. Etsy, eBay, and Amazon are great platforms to expand your selling capabilities. Because marketplaces tend to gain higher amounts of traffic than your personal ecommerce storefront, selling on multiple venues increases the visibility of your online store and brand. When you sell on multiple channels, you are making the same decisions the Royals did to have the wedding broadcasted to multiple TV stations and channels: the more you exposure the more likely people will tune in, pay attention and buy. I think we have all heard about Reverend Michael Curry’s wedding address: If you didn’t, all you need to know was it was on FIRE!!! Reverend Michael Curry’s wedding address has been shared countless times on social media and has made headlines all over the place. Of the millions of Royal wedding tweets made, many included the hashtag #ReverendCurry, #RevCurry or some other hashtag. This Bishop tore up the wedding traditions of “stale” Royal wedding ceremonies and had people talking for once! Like the Reverend, you need to produce content that not only engages your potential customers, but you need to make it easily shareable on multiple platforms. This might be a video, infographic, quote or photo that has shareable buttons people can quickly like and share your content. Get creative outside of your ecommerce advertising and make content that will supplement and help your business grow. The royal family knows as well as any that the power of a good story is not a dated practice. 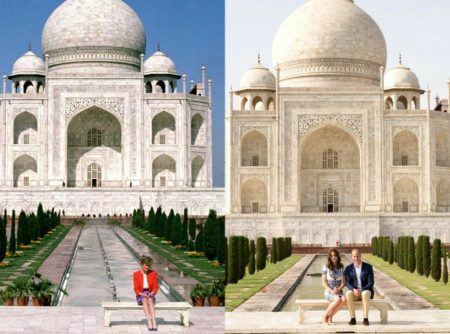 For example, Prince William erased the ultimate symbol of his mother Princess Diana’s heartbreak with a hugely emotional visit to the Taj Mahal. You will see Kate and William frequently recreating visuals that his mother once had whether it’s outfits, photo reproductions and memories. This is powerful imagery that keeps the family heritage alive but also humanizes the Royals. Telling a powerful story is the key a successful campaign. For example, Nike tells the story of heroic tenacity. The symbolic meaning behind the Nike logo is the wing in the air of the Greek Goddess of victory, Nike who influenced countless brave warriors. Their content inspires customers to overcome obstacles, build strength and do amazing things. Nike is a powerful business brand and its all made possible through the content they create. Like the Royals and Nike, your content needs to tell a compelling story that keeps people hooked and longing for your content and products! Promotion via blogging is a great way to do this, because content can be posted and shared on social media and drive traffic through search engines. What are your customers needs, questions and interests? What are frequently asked questions you could write about? How can your customers use your products to better their everyday lives? What tutorials can you offer them? What “How To” videos can you create to inform your customers? What stories can you share with employees and existing customers? How you you share the inspiration story behind your business? Whats news in the industry can you talk about? Like these examples, posts that provide answers to these topics will encourage buyers to continually return to your website for more content. Sadly, most people did not get an invitation to the Royal Wedding, those were reserved for stars like Oprah, the Beckhams and other star studded guests. But, regardless of whether you got a seat in the chapel or you were a “front row joe” watching it from home, the fact you were invited to “participate” and see it is pretty special. The Royals have always been great about opening doors to the public for big events like weddings, baby introductions from the hospital to even funerals. Like them, email marketing for your ecommerce advertising strategy can create the same “special” feeling. Email marketing is an easy and cheap way to target potential customers with promotions, updates and sales that are catered to them and their desires. By getting a “thank you” customer appreciation email that gives them a coupon to use at your store for the next week, it could be the equivalent to being able to sneak a glimpse at Harry and Meghan as they rode on by! It’s magical and it makes someone feel special. People want to feel like they matter and are not just a dollar sign! Customers are mainly interested in how your product and services can benefit them, so they are more likely to engage with discounts and offers that serve their wants. You should be a business that thinks about their needs and desires first, so include them in ways that make them feel like part of the brand and appreciated. For example, store visitors who viewed products but never made a purchase would benefit from an outreach email that would inspire them to be a first-time buyer. 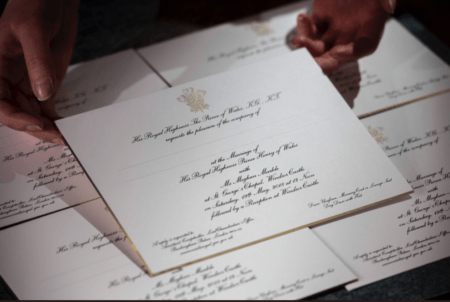 Think outside of the box and send potential customers a “Royal invitation” to engage with your business! So, how can you build a strong audience? The best place to start is the people you know and the people who are already visiting your site! When you focus on the “low hanging fruit,” the conversion rates will be higher, which means a lower cost per conversion compared to having to spend money on finding new people. Why do more work than you have to in the beginning, right? Retargeting is a great way to expand your ecommerce advertising efforts. Retargeting is the practice of sending targeted ads to specific users who have already interacted with your brand via digital cookies. When they go to another site later, the cookie will ensure that your ads show up. The appearance of your ads on other sites keeps your products visible and accessible to buyers who need that extra push to make a purchase. Facebook is the king of retargeting, but Google also has strong retargeting capabilities. Ecommerce advertising is not left to chance for magical success. Just like the Royal family, you need to know the location of all players at all times! Security of people is what matters to them…security of your funding is what matters to you! Google analytics is a crucial key in tracking and protecting your marketing budget! Advertisers should track how ads are performing and where their traffic is coming from. Using marketing analytics, you can examine your audience demographics, impressions, click through rates, cost per conversion and many other trends over a set of time. Using these insights, analytics allows you to work smarter, not harder. This information helps you tweak future ads to be better. If something isn’t working, you can change it. If something is working, you can figure out how to continue advancing and promoting that idea—with more money and resources. Hook your blog and website —free of charge—to Google Analytics to see how your content is doing and who’s reading it. A premium version offers additional insights. For more information about this, see Essential Website Metrics You Should Be Tracking. So you worshipped Netflix’s The Queen and you were stoked for the real-life nupitals but didnt have a TV provider to watch the wedding? Don’t sweat it, the Royals already were a step ahead of you! There were endless options to stream the royal wedding of Prince Harry and Meghan Markle at Windsor Castle. Tens of millions of people streamed the wedding on their mobile phones, making it the most live-streamed wedding in history! Mobile makes information sharing easy. You can make this work for your business and—if done right—it can move your brand awareness like wildfire! 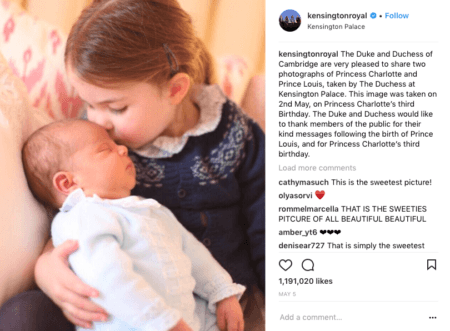 Just as the Royals understand the power of mobile streaming and video, any successful ecommerce advertising must ensure quick content delivery. According to Statista 2017 report, about 39% of sales are through mobile devices and, by 2020, mobile traffic will increase eight-fold. Moving forward, ecommerce advertisers will need to spend more time and money creating mobile-friendly advertising to stay competitive! A helpful part of this will be strong video content! Video content is a great way to advertise to shoppers, especially if you’re marketing to younger customers. With the demand for video growing at an incredible rate, it is no surprise that 52% of marketing professionals feel that video is the type of content with the best ROI. In fact, studies have found that video content can increase sales by as much as 80%. So, what should you be thinking about when trying to create successful videos for your business? 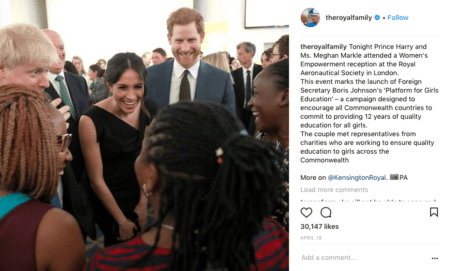 Like this and many of the other videos the Royal family has published, you can inform and promote your business in ways to connect your potential customers with your brand’s mission, goals and objectives! How you approach video content is up to you, but it’s always a good idea to work your way into video content by testing out different approaches over time. Make sure to test your messages with the right audiences and attach your video content to the already successful content that you have. Get creative and have fun with video work! or scandals… but you have to give the Royal family props: They have marketing down to a science. They understand the basic neccesities of human experience, marketing and branding that really help them excel and stay relevant. 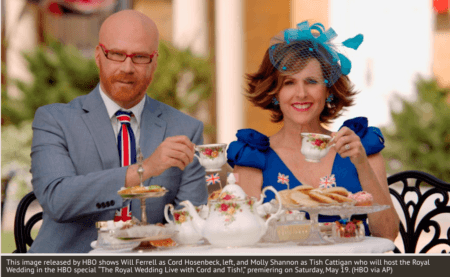 Yes, coverage of the Royal Twerp is excessive and at times downright exhausting, but there is a purpose behind it and there are many lessons we can learn as marketers to better our ecommerce advertising strategies through their example (I mean, they did rule more than half the world at one point…). 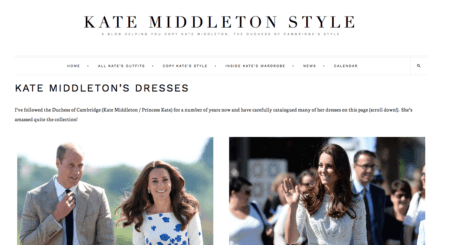 Hopefully your ecommerce advertising can get the royal treatment and you can improve your results by implementing some of these core strategies! Need some assistance updating your ecommerce strategy or running PPC campaigns? Get in touch with us and see how we can help you! What do you think and what did you learn? What do you feel the Royal family does well or does not do well when it come to marketing? Do you have other popular families or celebrities you think rock the marketing strategy world? Do share below!